I wish I had seen this idea last week, because we're done with graduation parties for this year, and I would have loved to use it! But this idea from Sugar and Charm would certainly work for a birthday, too! Such a fun way to give money as a gift, rather than just sticking it into a card. 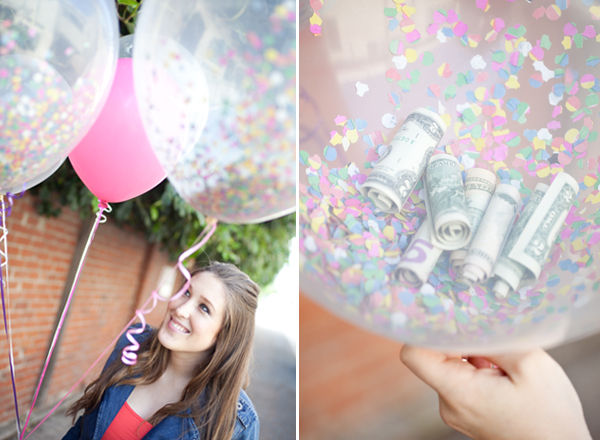 Make sure to visit Sugar and Charm's original post here to get tips on putting your own money balloons together.